WOKOZIM is a novelty in the Bio fertilizer production technique. It is a non toxic & organic form of naturally occurring plant growth nutrients resulting from seaweed. By Agromed Pte. Ltd. based in Singapore, SINGAPORE. By Zander Corporation based in Mells, UNITED KINGDOM. 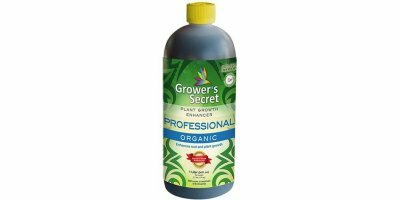 Grower's Secret Professional (GSP) is a highly concentrated organic plant growth enhancer made with patented mushroom technology that works to speed the delivery and uptake of nutrients and water in organic and conventionally grown crops. Use in combination with plant nutrients to enhance root and plant growth and to increase yield. Fase2 growth nutrients are intended for foliar application in perennial crops such as orchards and vineyards. Formulated to stimulate growth while promoting greater fruit set and bud retention, Fase2 is quickly assimilated into the plant providing additional nutrients and energy for growth and yield enhancement. By IL&FS Waste Management & Urban Services Limited (IWMUSL) based in New Delhi, INDIA. Concentrate for fruit growth. Promotes the synthesis of proteins and enzymes that activate cell growth and division, and mobilises the nutrients from the leaves, stem and root to the fruit, thus acting as an initiator of growth and ripening processes in fruit, without causing tissue degradation. 500 million microorganisms / mL. Addition of bacteria to facilitate the assimilation of plant nutrients and promote growth and longevity of plants by optimizing soil fertility. By CETS LLC based in Sussex, WISCONSIN (USA). By Canadian Pacific Algae Inc. based in Nanaimo, BRITISH COLUMBIA (CANADA). 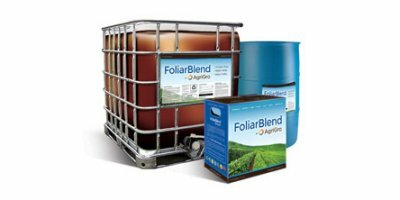 Micronutrients reinforce and supplement the strong plant growth and structures provided by major and secondary nutrients. Most micronutrients influence growth. For example, manganese (Mn), iron (Fe) and copper (Cu) all influence photosynthesis, the process whereby plants use sunlight for growth. By Recycled in Orsett Ltd (RIO) based in Orsett, UNITED KINGDOM.